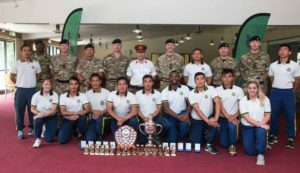 The Queen’s Own Gurkha Logistic Regiment have had a fantastic week of sporting activity and success culminating in 10 The Queen’s Own Gurkha Logistic Regiment winning the 101 Logistic Brigade ‘Superstars’ competition for the second year in succession. Each of the 16 units in 101 Logistic Brigade entered a team of ten men and women who competed against one another in six sports over three days. 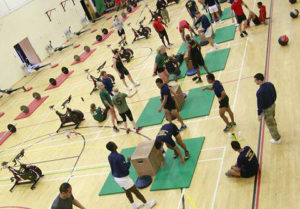 The standard of our competitors was first rate and the Regiment won five of the six events. Individual event prizes and the Overall Champions Trophy was awarded by Commander 101 Logistic Brigade, Brigadier Blair-Tidewell. On Wednesday the Regiment became runners up in the Army Cricket Final. After a very exciting match against the team of The Army Headquarters, QOGLR gave all they had impressing the opposition. Our sincere congratulations to the winners who were great sportsmen and made the event so hugely enjoyable. 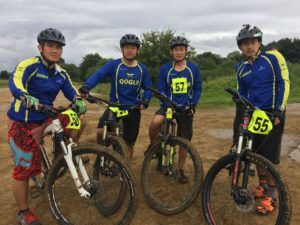 And earlier in the week the QOGLR mountain bike team came Runner’s Up in The Royal Logistic Corps Cycling Championships held at Abingdon.